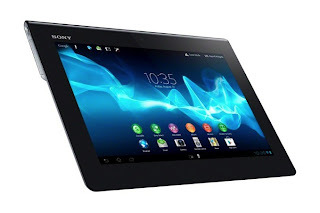 Sony announce on the their Tablet forum that they will release Jelly bean update for Xperia Tablet S. Scheduled release of update is on April 18, 2013, 9-10am (PST). Once the update is ready your tablet will automatically received a notification that system update for Jelly update is now available. Sad to say that update for Asia Pacific countries particularly Philippines is not included in the list for April 18 release. As posted on their forum announcements, regions to experience Xperia Tablet S Jelly bean OS are United States, Canada, and Latin America Region. The device has already arrived in Philippines last February 2013 costing around P20-30,000 depending on the internal storage size. Xperia tablet S is pre-loaded with Ice Cream Sandwich 4.0 OS with slim aluminum body and splash proof design. After that Sony announced Xperia Z last month. I hope that Xperia Tablet S users here in Philippines can get the Jelly bean update after their first release. If you own this tablet, you can go check also Sony support page for upcoming release of updates on your region.